Blackrow Engineering provide full in-house laser cutting services with fast turnaround on profiles, delivered nationwide. 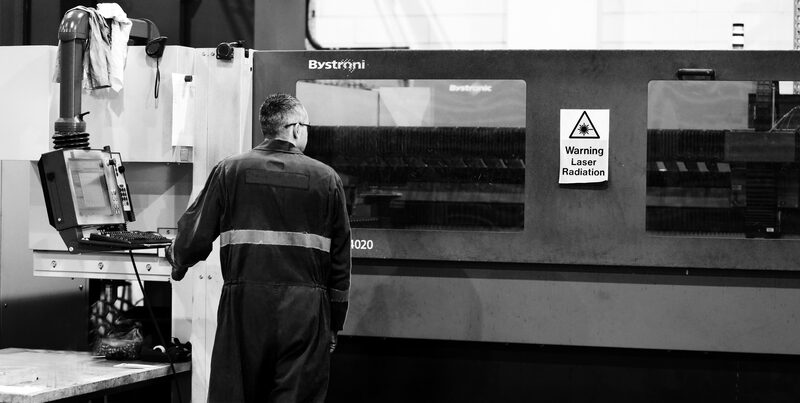 With our 6kW Bystronic Bystar 4020 Laser Machine, we have a cutting window of 4000mm x 2000mm and can produce profiles up to 25mm thick stainless and carbon steel and 15mm thick aluminium. Laser cut profiles are required for the majority of projects from large new systems through to internal breakdowns, maintenance and daily running works. We provide a 24-hour turn around cutting service so any downtime is kept to a minimum. Whether you require a small component or a large batch, our in-house design team and highly skilled engineers, enable us to deliver high quality laser cutting services with quick turnarounds. If you have a laser cutting job you would like to discuss with us, please contact our in-house laser cutting team.